Sean Foster is a graduate student and research assistant in the BioResource and Agricultural Engineering Department. Prior to attending Cal Poly he earned a bachelor’s degree in biological sciences, with a focus on neuroscience from UC Santa Barbara. 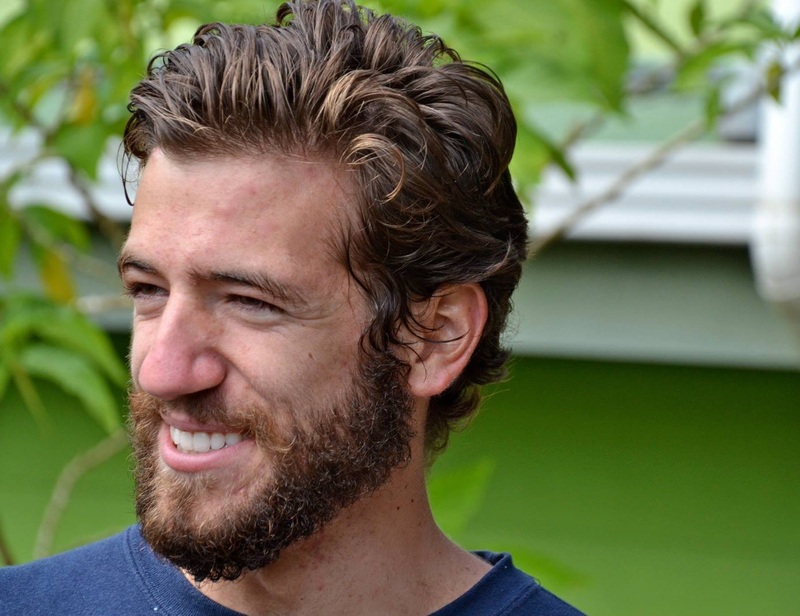 His academic path was leading him to medical school, but after studying abroad in Costa Rica his senior year of college he decided to pursue additional studies in sustainable farming, ecological diversity and conservation. After taking a few years off, he enrolled at Cal Poly to pursue a master’s degree in environmental engineering. He met Professor Greg Schwartz who introduced him to the BRAE Department. Foster was drawn to the flexibility of his curriculum and working with people passionately dedicated to sustainable farming and engineering. Foster is now working on his thesis, “The Effect of Photoperiod and Light Intensity on Leafy Green Production in an Aquaponics vs. Hydroponics Control.” This project is certified as a controlled-environment agriculture project and is designed to bring crops indoors in a highly controlled environment with monitored light, different nutrient sources and clean water. The goal is to bring quality food closer to people, regardless of seasons, geography, or a changing climate. He is using the project to measure different light intensities over different time periods using recirculating water from a 300-gallon aquaculture tank. A fish tank is used in the aquaponics system to provide a nutrient source that differs from synthetic fertilizer. Ultimately, he is analyzing up to 200 plants, grown with both hydroponic and aquaponics, subjected to more than a dozen experimental growth treatments. Professor Schwartz, Department Head Peter Livingston and Lecturer Sara Kuwahara are advising Foster along the way. The project ran for three months, from December to February. Foster beams with ambition and enthusiasm when discussing the project, which was made possible by grant funding he received last spring. Look out for the next BRAE Blast for an update on his project and the culmination of Foster’s research results.